President Donald Trump plans to visit Utah on Monday where he is expected to sign an executive order calling for major reductions in the size of the Bears Ears and the Grand Staircase-Escalante national monuments. The dramatically smaller sizes of the two Utah national monuments would be based on recommendations made by Interior Secretary Ryan Zinke. As part of his review of national monuments across the United States, the Interior secretary did not recommend a reduction in the size of any in his home state of Montana. In fact, Zinke, who represented Montana in Congress prior to taking over as Interior secretary earlier this year, recommended that Trump create a new 130,000-acre national monument in the Badger-Two Medicine area of northwestern Montana. Both Bears Ears and Badger-Two Medicine are of cultural significance to Native American tribes. But only one is in Zinke’s home state. 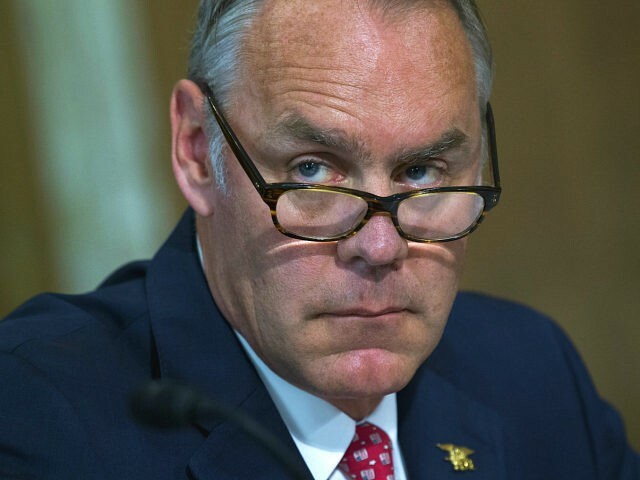 “Everything that Secretary Zinke does in Montana is 180 degrees from what he does to the rest of the country,” Center for Western Priorities spokesperson Aaron Weiss told ThinkProgress. “Montana gets special treatment because he would like to be governor there some day.” The Center for Western Priorities is a nonprofit conservation and advocacy organization for communities in the Western United States. The Department of the Interior did not respond to ThinkProgress’ request for comment on Zinke’s decision to seek a new national monument in Montana. We need to stop wasting taxpayers money rounding up the wild horses. Then we won’t have the problem of disposing of 30,000 horses in holding pens. Such a shame for these innocent wild horses. Stop this madness. Sterilize the females and release them back to their rightful wild homes!! Drain the swamp of wasting tax’s on roundin up wild horses and feeding and housing them. Let them go!!! “Talk to David Robinson, who runs 300 cattle on the ridge above Indian Creek, and he’ll tell you he’s thrilled Trump is reducing the monument. Talk to Bruce Adams, the county commissioner who sometimes wears a cowboy hat emblazoned with the words Make San Juan County Utah Great Again, and the word he uses to describe Trump’s decision is “ecstatic.” And stop by the Conoco Gas Station in Monticello, where farmers sometimes sit to discuss the drought or the price of hay, and you’ll hear little positive about Obama or Clinton declaring Grand Staircase or Bears Ears as national monuments. “They’re scared about losing their way of life,” says Adams, who is also a cattle rancher. “David Robinson, who runs a ranch adjacent to Heidi Redd’s place says that whenever he asks the Bureau of Land Management what the future holds for the 10,000 acres he leases from them they say they won’t know until Trump makes a decision. And yet, legal scholars say whatever Trump declares will offer little clarity, at least in the long run. While presidents have twice reduced the size of national monuments, they’ve never reduced them as drastically as Trump intends to do with Grand Staircase and Bears Ears. … UNLESS it fills the pockets of his political cronies.